Fishing in the Valsesia means to have available an immense river basin, but also to do one's preferred sport in an evocative and majestic natural setting, given the alternating very green glades, level areas and steep gorges, on which dominates the undisputed purity of Sesia waters and its tributaries, the natural habitat of many species. Just for this very reason, fishing is done in harmony with the seasons and respects the vital cycle of the fish: during the spring, the more profitable period, the best area is that of the lower sections of the river and its tributaries; towards the fine season the numbers slightly rise towards the heads of the valleys, until reaching the alpine lakes at more than 2000 meters . It "closes" in autumn, when the fish species must fed in order to reproduce eggs. The Valley is known and appreciated on an international level by those keen on fishing, and above all for its famous "fly fishing swing”. The Sesia river has an old tradition for fishing: dating back to 1478 with the first "Valsesian fishing regulations". This means that in those times the activity was already very common and an important means of support.  Today, protecting the fluvial patrimony, regulating the sporting activities is the Società Valsesiana Pescatori Sportivi. The task of the SVPS is that of managing all of the public waters from the sources until the Quarona Dam: approximately 300 total kilometres of rivers, streams, riali , channels and fifteen high altitude alpine lakes. An exception for the special regulation fishing zones, access to these waters occurs with permits, which can be yearly, fortnightly, and daily, valid starting from the month of May.